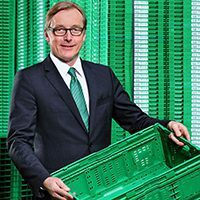 IFCO, a global provider of reusable packaging solutions for fresh foods, today announced that its parent company Brambles has entered into a binding agreement to sell IFCO to Triton and a wholly-owned subsidiary of the Abu Dhabi Investment Authority (ADIA), for an enterprise value of US$ 2.51 billion. The transaction is subject to customary regulatory approvals and is expected to be completed during the second quarter of 2019. Brambles announced in August 2018 that it intended to pursue a separation via a demerger or sale. Brambles today announced that Triton and a wholly-owned subsidiary of the ADIA, have formed a partnership to acquire 100 percent of IFCO. “This is an exciting step for our business, and we believe it will enhance our ability to strengthen ties with existing customers while driving growth”, said Wolfgang Orgeldinger, CEO of IFCO SYSTEMS. IFCO is well positioned for its future as an independent company. From both the financial and market share perspectives, IFCO is a strong business and a global leader in reusable plastic containers with a large addressable market and clear opportunities to capitalize on growth in the sector. In financial year 2018, IFCO generated revenues of more than US$1 billion for the first time, and achieved a growth of 8 percent.